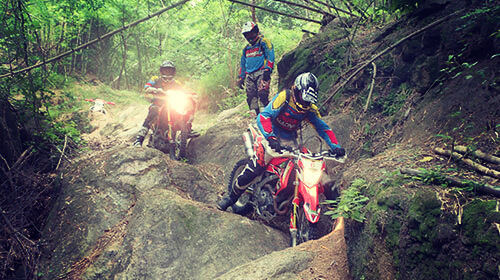 Tracks N Trails is a brand of Enduro Madness Pattaya Thailand that specifically focusses on off-road Enduro dirt bike trail riding and motocross training. 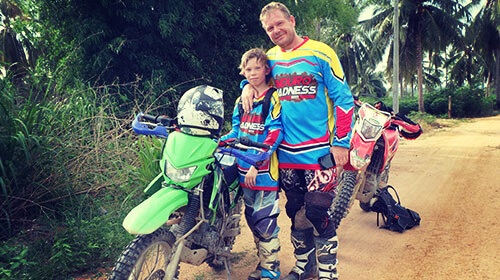 At Tracks N Trails Pattaya by Enduro-Madness we specialize in training riders of multiple skill sets from absolute beginners to expert enduro riders. 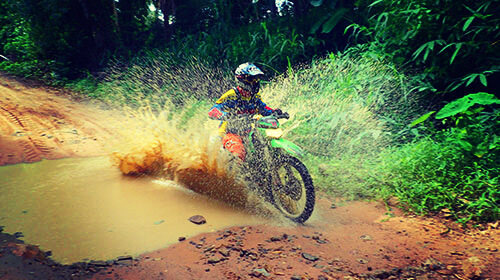 Our pro guides offer knowledge and years of enduro experience, many of them being Thai and international enduro champions allowing us to offer such a vast range of training options. 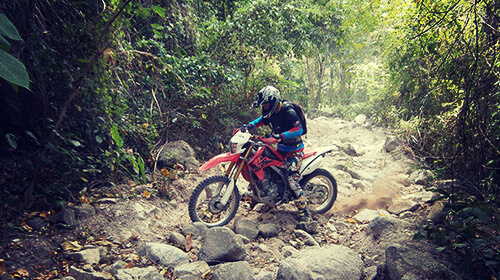 Our experience speaks for itself, training riders of all levels since 2008 with over two thousand riders learning to ride geared motorbikes off-road. 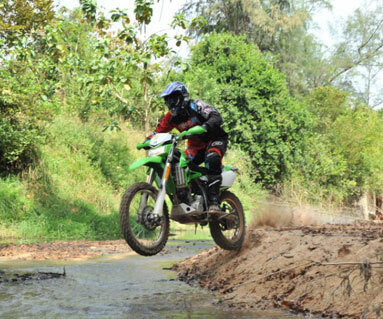 Tracks N Trails Pattaya by Enduro Madness is dedicated to introducing enduro to as many new riders as possible as is reflected in our training packages. All of our training sessions mirror the regular Enduro Madness half day or full day enduro tours in way of price and hotel pick-up times however there is a surcharge of 1,000 THB for a half day training tour and 1,500 THB for a full day training tour in addition to the standard half day and full day Enduro-Madness tour rates. It is not a per person surcharge and therefore if you are a couple, father and son or a group of friends wanting to improve your riding skills then the small private training surcharge can be split between your group with a maximum of 4 riders per instructor. All of our Tracks N Trails training programs are performed as a private sessions. This is an area Enduro Madness likes to promote to get more people into discovering awakening their soul with the amazing ability to ride a dirt bike through the freedom of the wilderness. Our Tracks N Trails training programs possibly give us just as much satisfaction as our happy clients when we see how much they have improved their riding abilities. 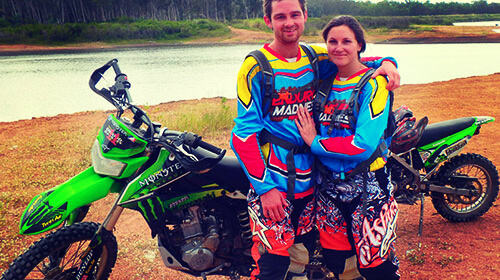 The Tracks N Trails Training regime encompasses the very best instructors that Enduro Madness has to offer in order to increase your riding skills as quick as lightning. All of our instructors have extensive experience in teaching and have tried and tested methods to help you successfully gain the most out of every single session. Our instructors are patient and will help you to accomplish your goals. 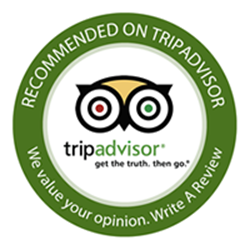 We look forward to welcoming everyone to our epic, specific, tailor made training tours! 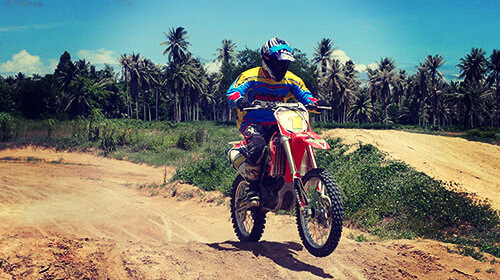 Awesome Thailand Enduro and Motocross Training tours are our specialty and we 100% guarantee an epic, successful and fun stacked experience!